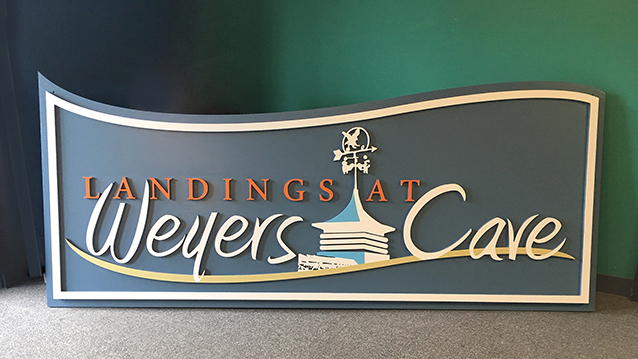 Carved Signs - Hightech Signs, Inc. 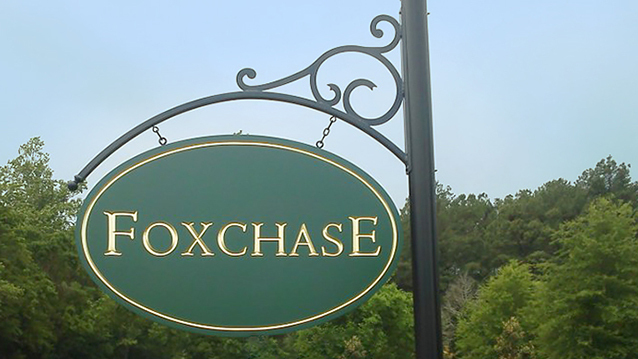 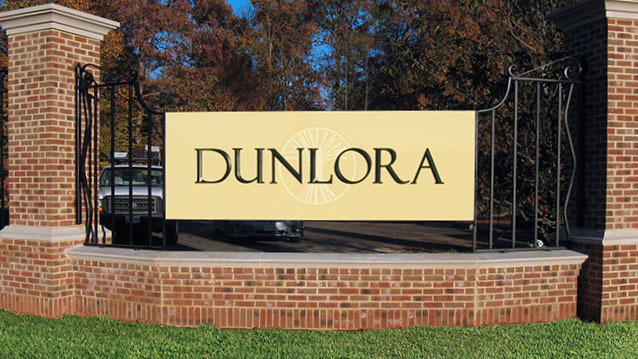 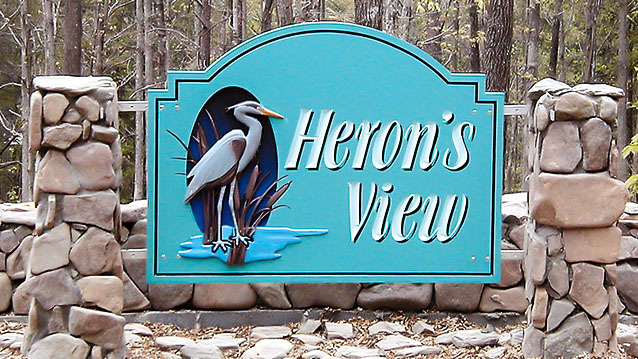 Custom carved business signs are one of our most popular outdoor sign options. 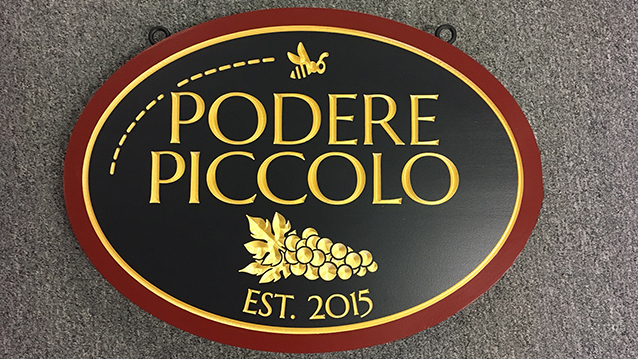 The sign experts at Hightech Signs in Charlottesville are able to carve your logo, company name or design elements into wood or PVC. 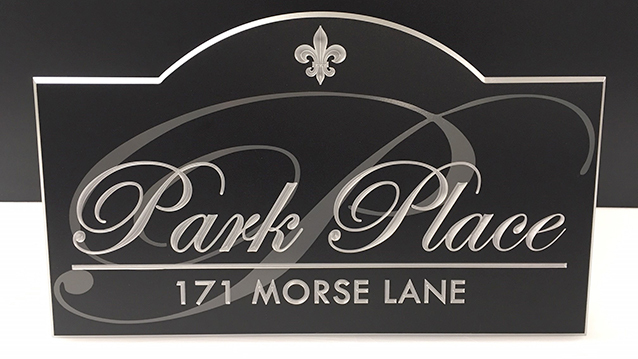 The PVC option provides you with countless fabrication options. 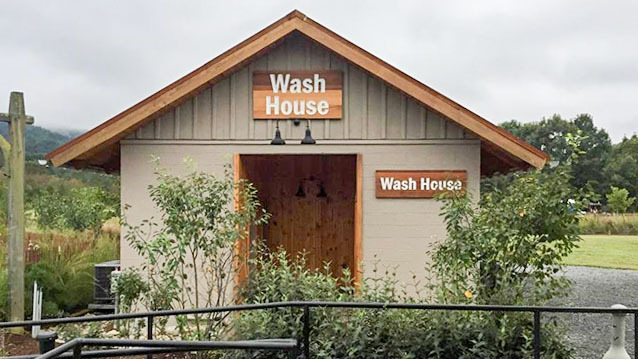 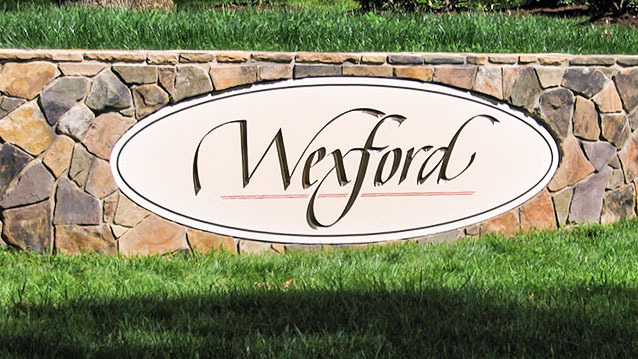 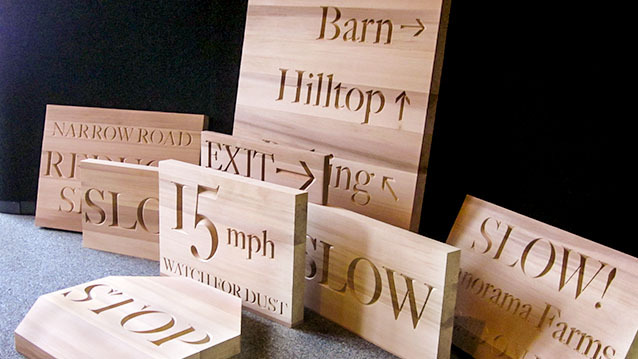 HDU carved signs provide the look of wood, but can be a more lightweight and affordable material. 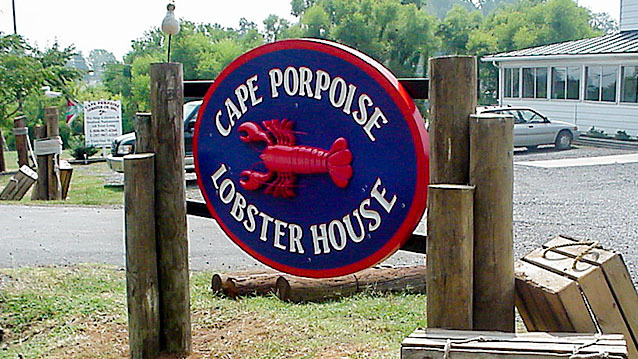 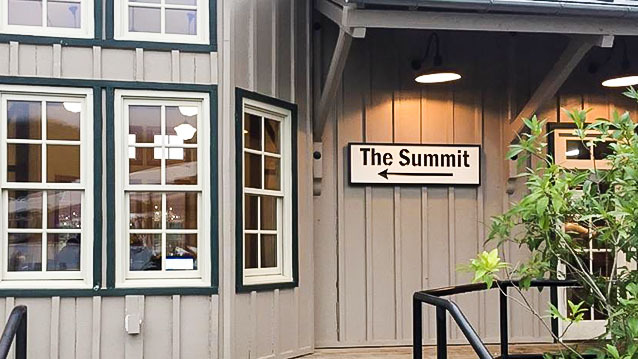 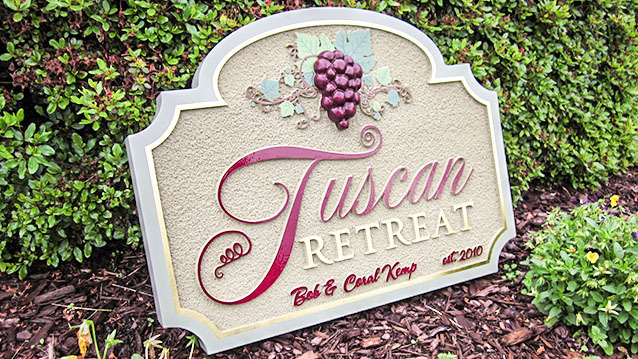 For a cabin sign, summer home sign, farm sign or distinguished business sign, a 3D custom carved sign makes a high-impact impression. 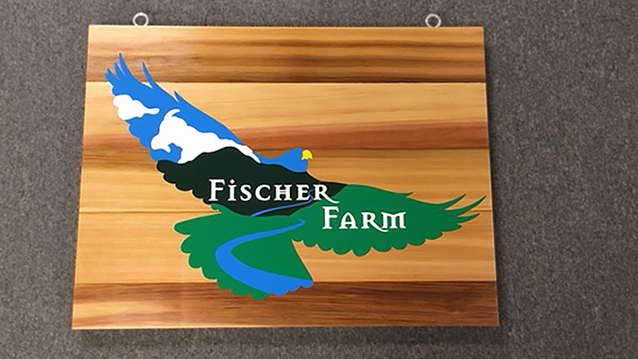 Contact us for a quote and design samples of carved signs for your farm, estate or business.